In business, collaboration is everything—but creating the right balance between openness and privacy is a challenge. 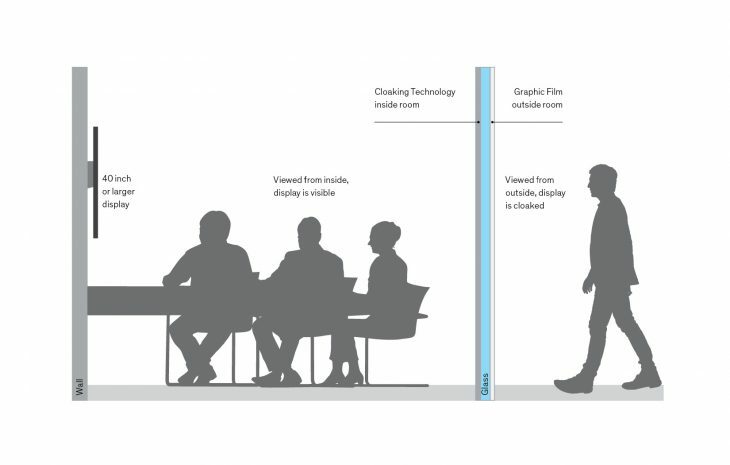 Casper™ Cloaking Technology by Designtex is an film for glass that obscures digital screens to outside view. It acts as a smart shield to ensure data privacy, while providing the peace of mind to collaborate freely in any working environment. This is a breakthrough that will unleash space design in the networked modern world. The Casper product offering also includes a suite of graphic patterns that provide an additional layer of subtle visual privacy. The technology can either be used on its own or combined with one of these patterns to dial in the perfect balance of privacy and openness. Casper is the only cloaking technology of its kind anywhere. You have to see it to believe it! Everyday Privacy: Protect sensitive information from anyone who isn’t meant to see it. Employees, contractors, customers, guests, etc. Visual Hacking: Visual hacking is on the rise. It’s easy, fast and mostly goes unnoticed. In a recent experimental study, white hat hackers were able to capture many types of sensitive information in under 15 minutes. The incidents remained unnoticed 70% of the time. 1. Casper selectively cloaks the light transmitted by LED displays, but nothing else. 2. To the viewer outside the room, everything but the content on the screens is clearly visible. 3. Transparent and opaque at the same time, it balances openness and privacy in the workplace.